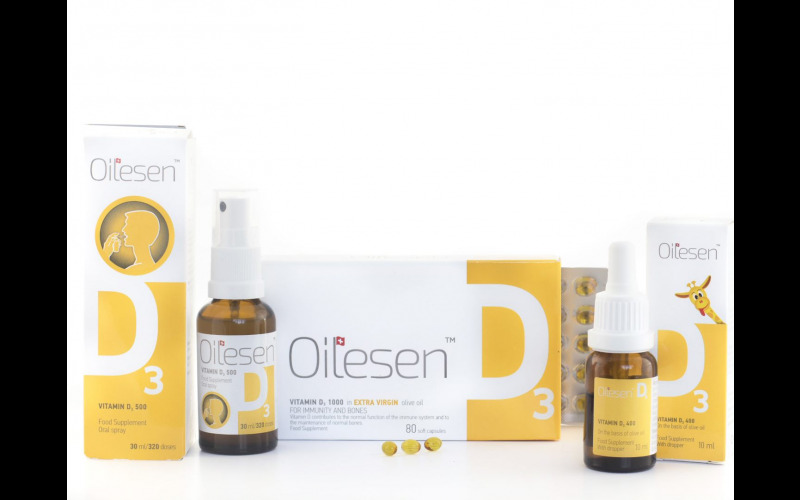 Oilesen is the all-new supplement brand offering the gold standard in the most sunny vitamin: Vitamin D3. An essential vitamin for families, Public Health England advises that all babies and children under 5 should be taking a vitamin D supplement daily, and that all adults should take vitamin D throughout the winter months. According to national surveys, one in five of us is deficient in vitamin D, with symptoms including poor musculoskeletal health and poor muscle strength, as well as low moods and fatigue. The Oilesen™ range comprises three products conveniently packaged in drop, spray and soft gel capsule format to suit each member of the family: pregnant women, babies from birth through to older children, adolescents and adults. The product range includes Oilesen™ Vitamin D3 500 Spray; Oilesen™ Vitamin D3 400 Drops; and Oilesen™ Vitamin D3 1000 Soft Gel Capsules. Win a year’s supply of vitamin D to keep you and your family happy and healthy, come rain or shine. Each year’s supply includes three Oilesen™ Vitamin D3 500 Sprays, three Oilesen™ Vitamin D3 400 Drops and three boxes of Oilesen™ Vitamin D3 1000 Soft Gel Capsules.